Last week, Mark Penn and Andrew Stein, producers of the Hillary movie saga, announced that there would be a fourth film in the series. 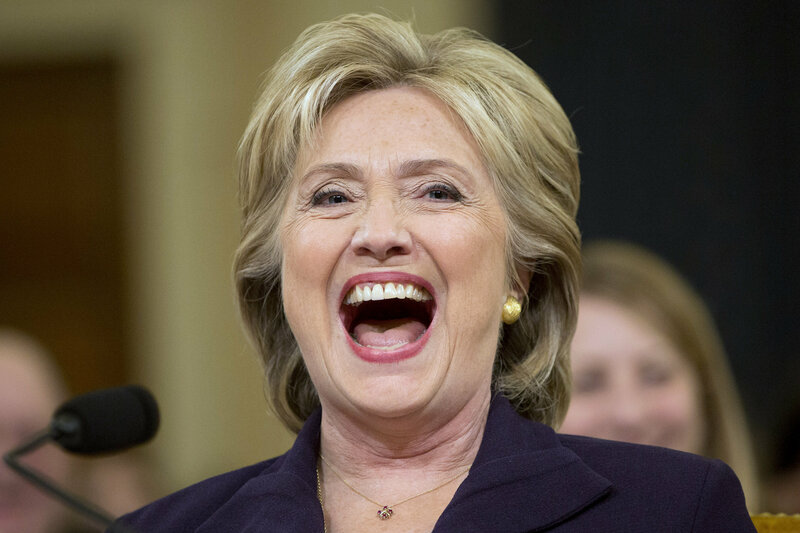 Filming has just begun on Hillary 4: Apocalypse Unleashed, and the movie is expected to hit theaters around November of 2020. The series commenced with the 90’s hit Hillary: A Nightmare on Pennsylvania Avenue. The film was especially popular among women, who found a strong female lead who stepped outside her husband’s shadow to be a refreshing change of pace from Hollywood. Producers were clearly offended that Hillary 2 didn’t scare audiences, so the writers took a completely new direction for Hillary 3: Silence of the Dems. They got rid of personable Barack Obama and replaced him with dangerous, narcissistic Donald Trump. This change resulted in one of the scariest films in decades. For Silence of the Dems’ inaugural weekend, box office numbers were huge. The third film generated way more revenue than the Hillary movie with Obama. Outside the theaters, there were a million, maybe a million and a half people waiting to see Trump in the revamped Hillary 3. While the Hillary saga generated millions of dollars at the box office and gave audiences both fun and frightening moments, critics believe the series has run its course. If Hillary 4 is scarier than the third installment, it will be unwatchable. If it is less scary, audiences will be stuck with a repeat of Hillary 2. Additionally, the series has been around for so long that critics aren’t sure what new material Hillary 4: Apocalypse Unleashed can offer. Past films have been so unpredictable that only time will tell how the latest chapter in the series will turn out.